I know I do. When the pressure of the days is high and the work before us seems unending, it’s easy to lose perspective on why we do what we do. I talk a lot with the brothers and sisters around our network about counting the cost of following Jesus. This is right and good, because there is a cost to following Him. You won’t be the most popular person in your school or your job. There will be times you have to go against the world. They way of the Kingdom is narrow. All of this is true. But counting the cost can become a thing where we discourage our own hearts. We become a Christian version of Eeyore the Donkey who only sees the weight of what was left behind. Brothers and sisters, this shouldn’t be. Instead, counting the cost starts with recognizing the great worth of Jesus. When we truly see the fact that we have been invited into a relationship with a God who loves so extravagantly and doesn’t hold our past against us, it changes the equation. We get God! We get to live in relationship with Jesus. And when we count the worth of that relationship against the cost of following Christ, the math changes significantly. God said to Abraham: “Do not be afraid, Abram. I am your shield, your exceedingly great reward,” (Genesis 15:1). Jesus compared God’s Kingdom to a treasure that a man found hidden in a field. That treasure was so valuable that when the man found it, he joyfully went and sold everything he had in order to buy the field (Matthew 13:44). This is the kind of relationship we are invited into: One where God Himself is our reward. Jesus promises trouble for those who follow Him. We may lose all of our earthly possessions. We may be despised for resisting immorality that is trying to overtake the Earth. We may lay down our physical lives for the sake of the Gospel. But we get an invitation to be friends with God. We can’t forget that or we will grow weary and give up. He is our reward. Not success. Not notoriety. Not friends. Not honor. Him. Sometimes life takes different turns than we expect. We can start out with good intentions and get distracted along the way. We can end up in a place we never would have gone on our own. And often, the fact that we didn’t mean to end up in the spot that we’re in can be discouraging. Why didn’t life turn out the way that I thought? Did I miss God’s plan for my life? Have I disappointed God with the choices I’ve made? If this is you, I’ve got good news: It’s not too late to overcome. Don’t miss that. The circumstances you are in can still be overcome. You’re not too far gone or too old or too sinful. You’re not doomed to a life of failure in life and before God. How do I know? Because I’ve been reading the book of Revelation lately. And in the book, Jesus addresses seven churches that existed in the first century. All of them had difficulties. Most of them were a mess. But to each of the churches Jesus had this to say: “He who has an ear, let him hear what the Spirit says to the churches. To him who overcomes…” and then He makes them a promise about what they will receive if they overcome. Friends, you could find yourself in any of these situations or disqualify yourself in a thousand other ways. But Jesus has a promise for you. If you are willing to follow Him and and lay down your life in the way that He asks, it’s not too late to overcome. You can do what He asks and die tomorrow and you would stand with Jesus as an overcomer in Heaven. Our biggest hindrance is how hopeless we feel. But it’s not too late. 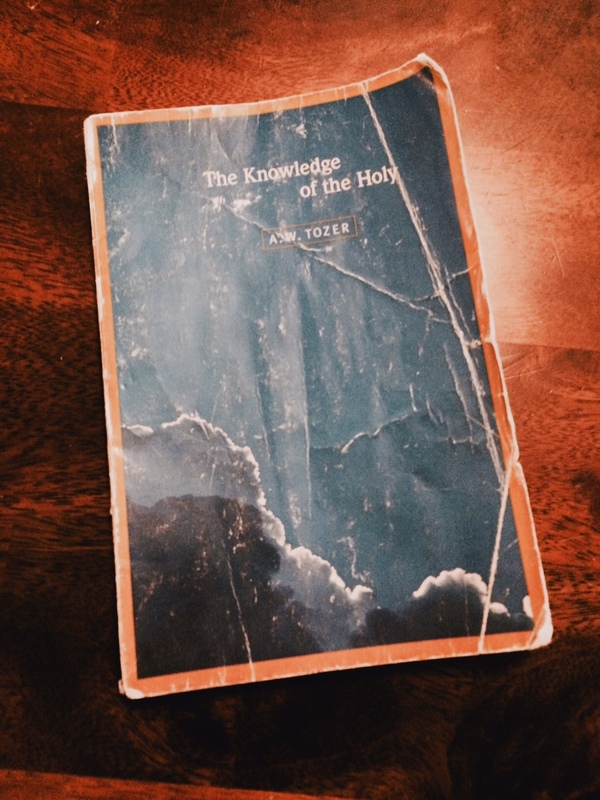 But the mystery of God is this: God is unknowable and yet He invites us to know Him. God is unknowable: He’s God because He is bigger and more complex than you. He measures out the universe in span of His hand. We’re talking about the God who laid the foundations of the world and taught the stars how to shine. He created the star and created the atom and everything in between and holds it all together through the word of His power. He knows you and your ways far better than you know Him. If you could fully understand God, if you could get your tiny human mind around Him and His ways, if you could know Him fully, He would cease to be God. You want a God that’s bigger than you. God wants to be known: We first see Him creating a world where He can relate to people. Then people break that special bond they have with Him and hide and He goes to find them. He spends thousands of years beckoning and whispering to people that He will come and break the curse that we’ve put on ourselves only to finally end up shouting in fragile form of His Son, Jesus Christ. And with the final act of laying down His life Jesus atones for our sins against Him and the veil that separated God from man is torn in two, signaling an end to us being shut out from His presence. So, yes, God is unknowable. But He wants to be known. I pray that…you have the power to understand…how wide, how long, how high, and how deep his love is….though it is too great to understand fully. Friends, God knows He’s too big for us. He knows we will never fully comprehend Him and His love for us. He knows that He is an ocean of love and our small, frail hearts are the size of a thimble. We can never fully hold the vastness of who He is. He invites us to try anyways. Friends, I don’t think the issue is to get a certain amount of God. That would be impossible. I think the answer is to keep opening your heart to receive more of Him, knowing that you will never be able to comprehend it all. Be okay with the God who is bigger than you. Who has more love than you. And keep opening your heart knowing it will never be able to hold everything God has to give. Today, I pray that you would have the power to understand how wide, how long, how high, and how deep the love of Christ is, though it’s too big for you anyways. We’ve been trying to catch lightning in a bottle we can sell, when we already have been given lightning in a book that’s free, if we will but open it and release it’s Spirit. You can find another great quote here.